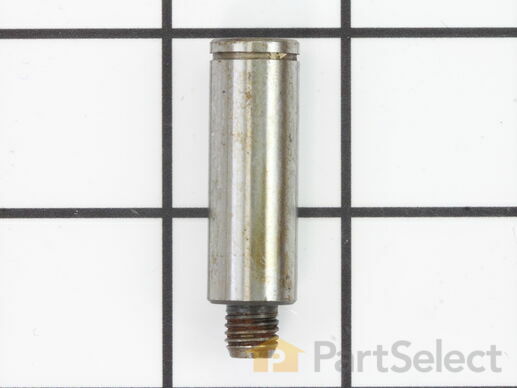 Part Number WP6-3129480 replaces: 312948, 6-3129480, W10912638, WP6-3129480VP, Y312948. Get this part fast. Average delivery time via standard shipping: 1.8 days. This roller shaft is also known as a support roller shaft or a drum roller axle, and is a part for your dryer. The function of this piece is to act as the axle for the drum roller; it provides a place for the roller to spin. The tools required for this repair are a stubby Phillips screwdriver, a 5/16 nut driver, a pair of snap ring pliers, and a 9/16 wrench. The first step before replacing this part should be to disconnect your dryer from the power source. Videos For installing this part. Ask our experts a question on this part and we'll respond as soon as we can. Your search term must have 3 or more characters. Keep searches simple. Use keywords, e.g. "leaking", "pump", "broken" or "fit". Hello Ian, it does sound like you have a problem with either your drum support rollers or your idler pulley. We recommend first checking the rollers as that is the most common reason for loud screeching noises. Check them for wear and visible damage. The next step should be the idler pulley. Please let us know if you have any further questions! Hello Andy, first we recommend buffing out the axels with an emery cloth instead of replacing them if they are still in good condition. Then you should lubricate the roller bearing at the center opening, and the shafts with a few droplets of turbine oil. If you are replacing the idler pulley assembly you can repeat this process. Once this is all done you can start your installation. Best of luck with this repair! Hi Gigi, from what we can find this unit was most likely manufactured in the late 80’s to the early 90’s. I hope this helps! Sorry, we couldn't find any existing answers that matched.Try using some different or simpler keywords, or submit your new question by using the "Ask a Question" button above!" Your Question Has Been Submitted! Our experts will send you an email as soon as your question has been answered.